According to the question of the user, the short and key answer is to convert your 3D Blu-ray to Samsung compatible video format first. So it is important for us to know that Samsung Gear VR by default supports most common file formats including MKV, MP4, AVI, and FLV. 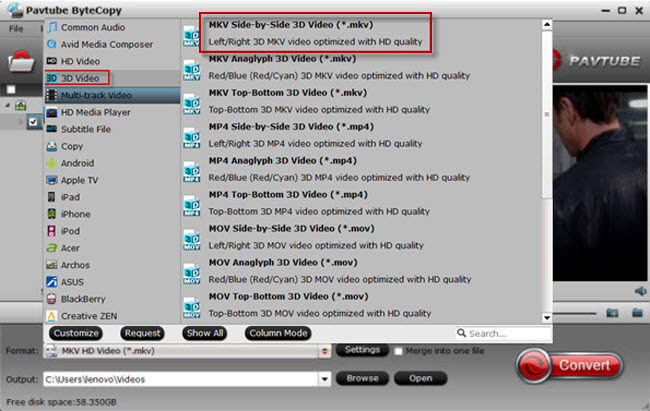 Ok, now the question becomes: how to convert 3D Blu-ray movies to MKV, MP4, AVI, or FLV? Here we recommend you a professional 3D Blu-ray converter- Pavtube ByteCopy. 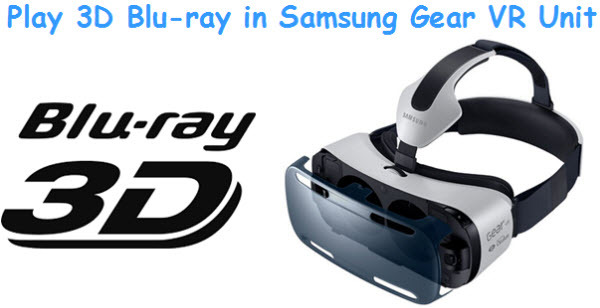 It can help you to rip/convert 3D Blu-ray movie from Blu-ray disc and Blu-ray movie folder and output SBS, Top-Bottom, Anaglyph 3D MKV video supported by Samsung Gear VR unit/Oculus Cinema with the best quality easily. Besides, with it, you can output the subtitle file of your loved movie and multi-trackaudio video. Mac version is here. Read reviews. Click “Format” bar and find “3D Video”, there are a lot of format options for you. “MKV Side-by-Side 3D Video (*.mkv)” is recommended. Click “Convert” button, 3D Blu-ray to Samsung Gear VR converter will start to work. Just be patient, it will not take you long time. After the conversion, place your video files into the folder named “My Videos” on your MicroSD card. It has two ways of copying: copy the entire disc and directly copy. The difference is directly copy way will lose chapter information of the movie. Read here to know how to preserve Blu-ray chapter markers. To watch your 3D videos, however, there is an additional step, and it’s not entirely straightforward.